…or at least a very large piece of it. Because buying every building in Detroit just gets so boring, the city's most famous billionaire is setting his sights on the publishing industry. Quicken Loans founder (or, if you live outside Michigan, Cleveland Cavaliers owner) Dan Gilbert is reportedly trying to put down $60 million in pocket change for CurtCo Robb Media, which publishes Robb Report, its only title. I know I'm not the only one who used to thumb through Robb Report and the duPont Registry and lust after the six- and seven-figure vehicles that were impossible to afford. 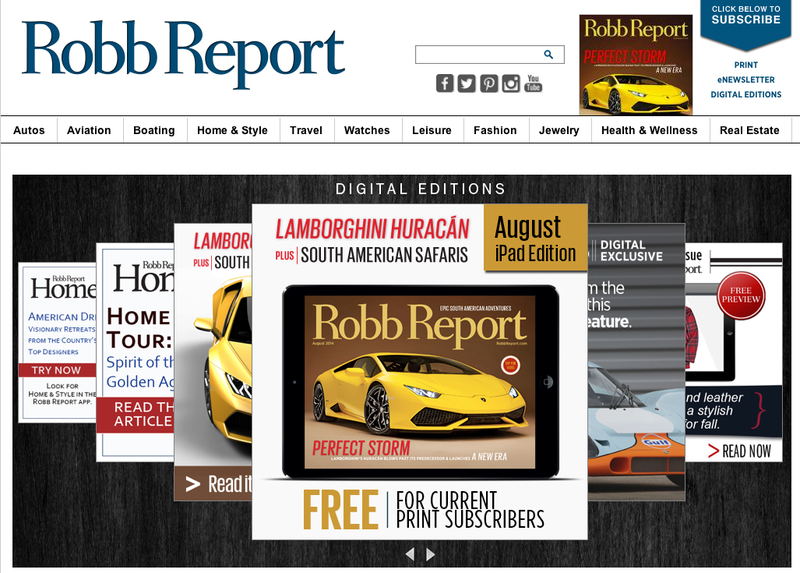 I guess the question is, will Robb Report be headquartered in Detroit or Cleveland when the deal is inevitably done? We know Gilbert has a strong interest in cars and a strong interest in media, so expect Robb Report to be based out of Motor City.